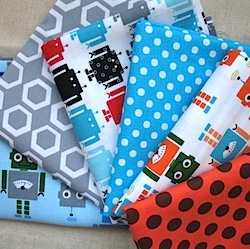 Ann Kelle has done it again with this amazing robots collection for boys.. what little boys does not like a robot? 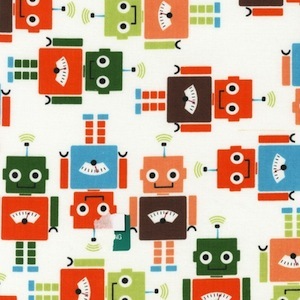 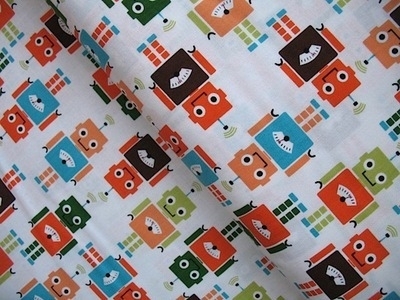 These little mechanical friends are in greens and oranges on a blue white. 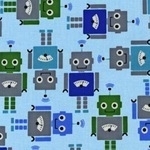 Scale wise the height of a robot is 7cm.